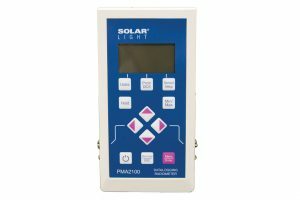 Solar Light’s Model PMA2166 Digital Thermocouple Probe is available in a K type thermocouple element, which is plugged into a socket mounted on an easy to hold plastic handle. The socket accepts both standard OST and subminiature SMP probes. 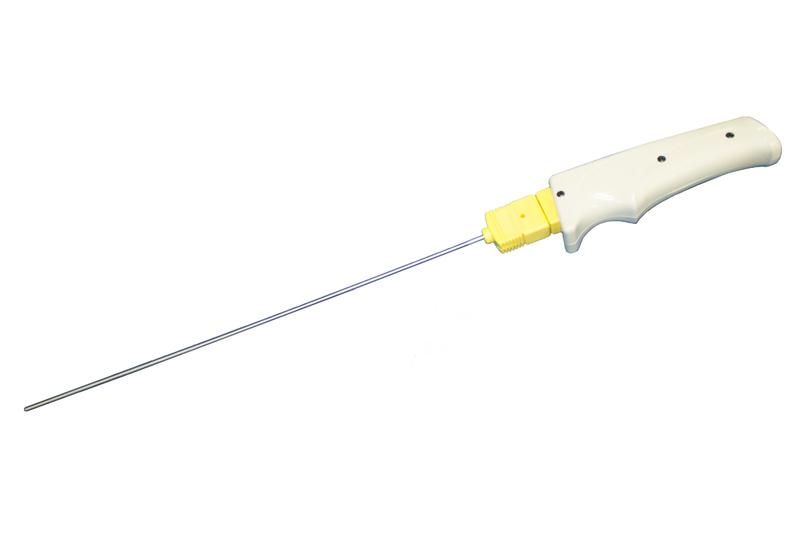 The PMA2166 can be used with any thermocouple of the designated type. Solar Light’s Model PMA2166 Digital Thermocouple Probe is available in a K type thermocouple element, which is plugged into a socket mounted on an easy to hold plastic handle. The socket accepts both standard OST and subminiature SMP probes. The PMA2166 can be used with any thermocouple of the designated type. 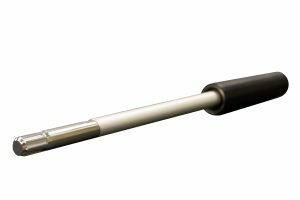 The thermocouple element is sealed in a stainless-steel envelope forming an 8” (23 cm) long insertion probe, and its operation is based on the Seebeck effect. In general, this function is non-linear. The Seebeck coefficient in microVolts/°C is temperature-dependent. Knowing this function and the voltage generated by the thermocouple, a temperature differential can be calculated. In order to know the absolute temperature of one of the junctions, the temperature of the other one has to be known. 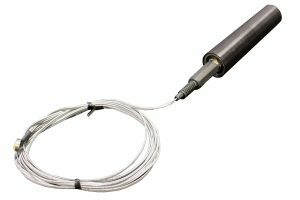 The PMA2166’s reference junction is thermally coupled with a calibrated semiconductor temperature transducer that generates a signal proportional to the temperature. 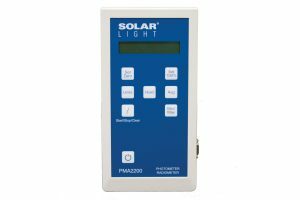 Solar Light’s Model PMA2100 Dual-Input Data Logging Radiometer calculates the thermocouple temperature differential and adds it to the reference junction temperature.